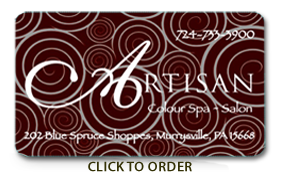 Artisan Colour Spa & Salon offers gift cards to help make your visit a special one. For Valentine’s Day, Mother’s Day, Birthdays and that special occasion, think of a gift card to Artisan. You can order your gift cards online with the option to print or e-mail the gift card as a gift. Artisan also customizes spa and salon packages for special occasions including weddings, anniversaries, engagement parties and so much more. 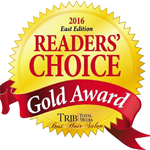 We look forward to seeing you soon at Artisan Colour Spa & Salon.